Welcome to Axel Furniture, established in 1999, we come as a manufacturer and exporter company that has reached market of Asia, Europe, Australia, America and Middle–East countries. We specialized in wooden and rattan furniture production which include also marble and Venetian mirror. We accept customer design surely with high quality and work directly with local sources having many years experience in crafting the beautiful styles furniture with the original art styles and design created under talented crafter. 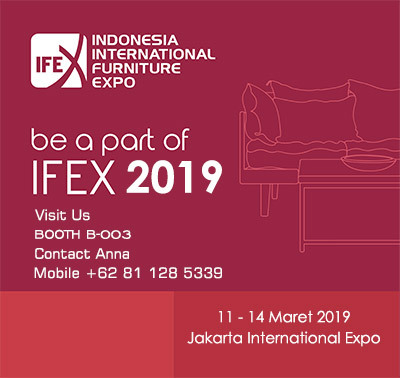 Oriented as a manufacturing and exporter, Axel Furniture concentrates on contemporary and modern design with the aim of enriching Indonesian original touch. Our furniture design made beautifully to almost any rooms inside your home, which are suitable to be placed in Living room, Bedroom, Dining room, Kitchen or even Terrace by using teak, mahogany and various kinds of woods as main material. Our contemporary and modern style collection made to fulfill the relax, comfort and artistic need of the family. We dedicated our self in achieving the finest, the most authentic creation of customer's will in creating their design. Our mission is to retrieve the trust of our customers by boosting our mind and effort to get the best quality and detail in order to make the highly selling products. We set high standard of controlling the product quality, therefore we involved many qualified human resource that is very skilled in their field, especially the art of ethnic itself, and also supported by advanced technology. We execute many important steps in production process, started from: choosing and checking the material, cutting, constructing, finishing, the latest checking by our professional quality control and packing. Our price is competing against the market price with high warranty of quality and beauty the product itself. Whatever you need of our product, visit our warehouse having a nice discussion with our direct crafter or our quality control. Your appreciation would be our award! 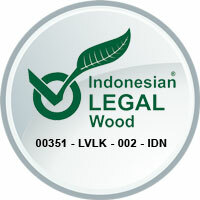 We look forward for having furniture business with you and please feel free to contact us right away.